Every week more than 6 million people in more than 60 countries across Africa, Asia and Latin America are meeting regularly in groups of 10 to 30 people to save, borrow small amounts of money, and provide each other with the moral support needed to meet each member’s individual financial goals. 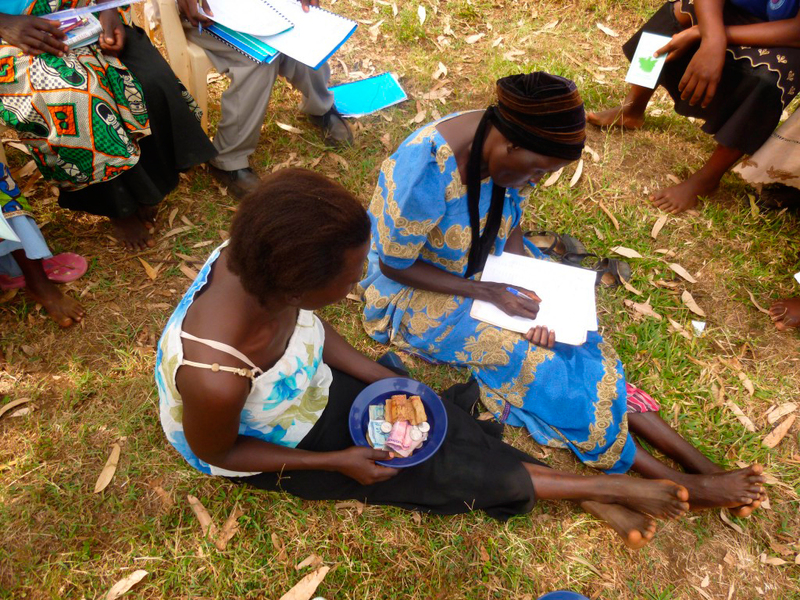 Communities for Development, like many other NGOs that create savings groups in rural areas of developing countries, follow the Village Savings and Loans Associations (VSLA) method. This simple, transparent, locally-controlled methodology addresses villagers’ needs for a safe and convenient place to save and receive access to small loans. Women play a central role with the leadership of the group and the weekly meetings enable the group to grow a bond that helps tackle problems in the wider community. At the end of the savings cycle the fund is divided among members as a proportion of the amount each has saved. In our experience, saving groups have proved to be an efficient and cost effective way of improving a household’s economy. After carefully monitoring the first two saving groups that were created in 2014, we understood how families were positively impacted so we continued expanding our approach in the Bulambuli area. Since the creation of the ‘Favor Farmers Savings and Credit Association’, or Fisca for short, we now have eight saving groups running in the area with around 30 members each. Read Marta’s blog post on ‘Why the poor are not to poor to save‘ or find out more about the groups by clicking below.